Our cloud-based cycles engine allows us to use all cycle tools from different platforms. 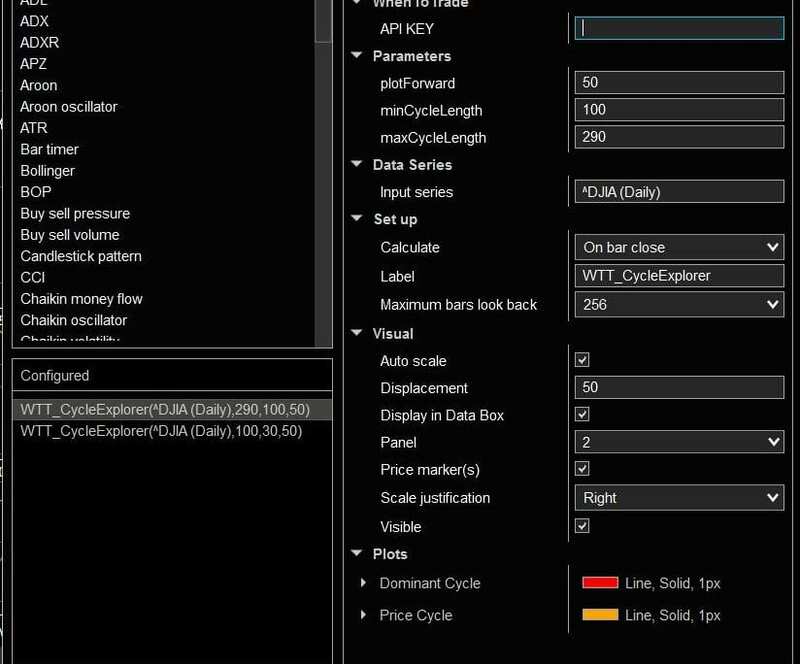 The article describes how to setup the CycleExplorer as indicator in NinjaTrader. We use the Newtonsoft.Json package to serialize and deserialize all calls to the cycles API. So you need to ensure that you have installed and referenced the package. First, we define two new plots and our needed parameters. One plot for the detected cycle and another plot for the derived real price cycle. The displacements settings are used to plot the cycle into the future. So the displacement will be set dependent from the parameter settings for plotForward. This allows us to draw the cycle into the future. We call the CycleExplorer API only at the last bar of the chart. Before reaching out to our cloud engine, we get all close values from the price chart and prepare a data list which will be posted to our cycles engine. We will use a basic HTTPClient call to connect with the cycles API endpoint. Before doing that, we just prepare the POST payload. Now we are ready to do a call via client.PostAsync. Finally, we check if the network call has returned some errors. If we havent had any network errors, we can now read and parse the returned API data APIresultContent into internal cycle data dominantCycle via the JsonConvert method (see line 2). If this can be done without additional errors, we are ready to access all dominant cycle information via our new dataset dominantCycle.xyz. To access the individual information we just add the value we want to use. E.g. to get the current dominant cycle length, we just use dominantCycle.length. We can now access all data returned from the API call (see all parameters here). 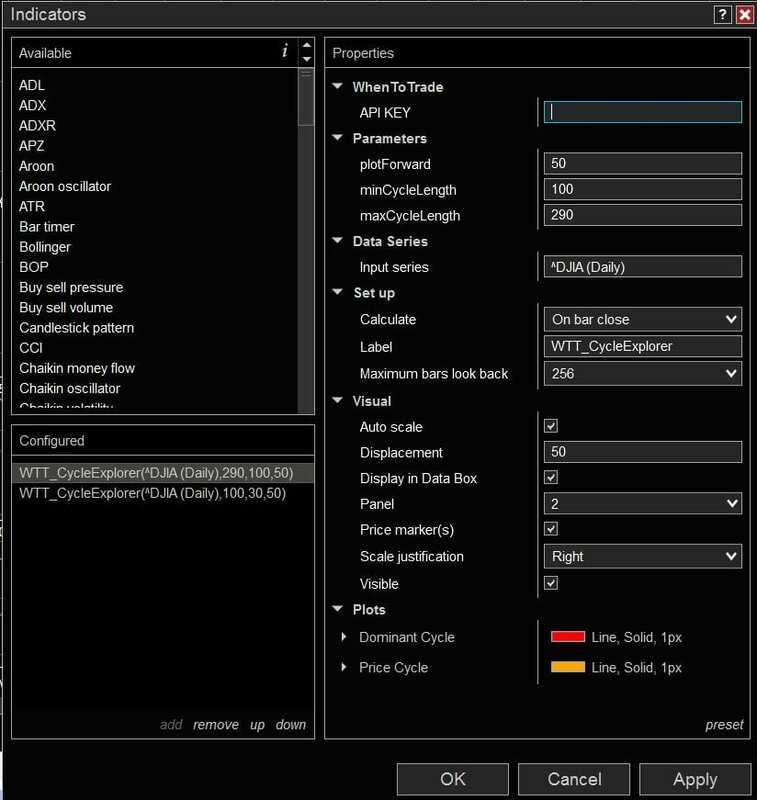 We are now able to do any further calculation within NinjaTrader with these values. 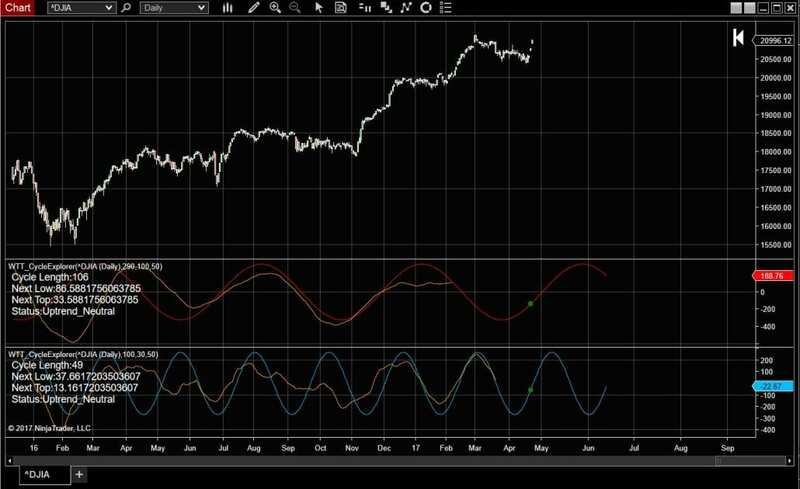 For our CycleExplorer we will just plot the current length and phase as text into the indicator window. // Test for return errors from API? As we called the API with the parameter includeTimeseries=true, the returned dataset also includes a dominantCycle.TimeSeries array which gives us all raw DominantCycle values to plot as an indicator. So we dont need to do any cycle calculation on our own – all data needed was already prepared by our cloud engine. We just need to access the TimeSeries array and assign the values for each bar to our plots on the chart. We do this by assigning Value[...]=timeSeries[...].dominantCycle in a loop for each bar on the chart. 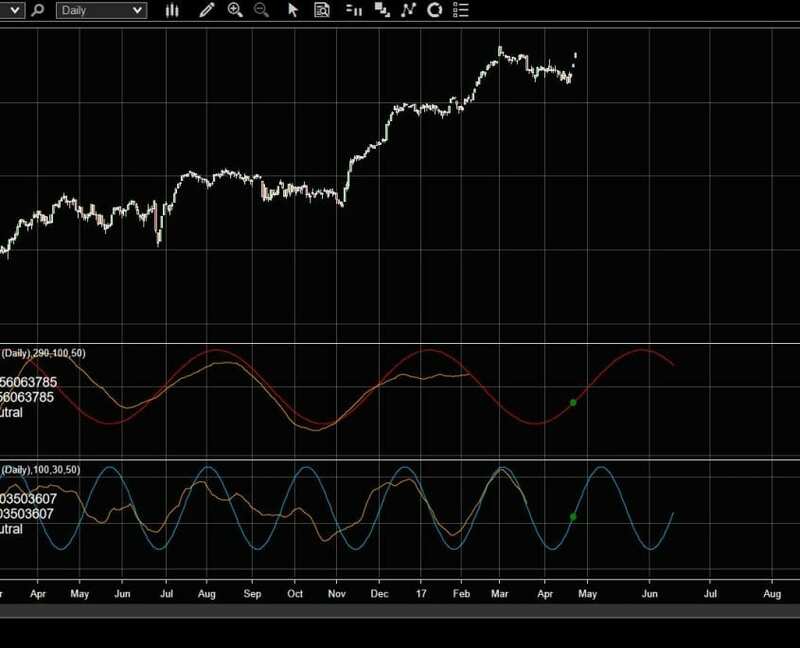 The example shows how simple it is to integrate the cycles cloud-based engine into charting platforms and indicators. The cloud API is based on our core code base which we use for years in a trading environment and which powers our standalone platform. All examples described in our books can be realized. Now, we are able to do the cycle analysis with any preferred front-end application. Said that, there will be no need for the WTT standalone application or additional data-feeds. We here at WTT will now concentrate on a stable service delivery for a cycle-analysis backbone without forcing anyone into closed standalone apps.